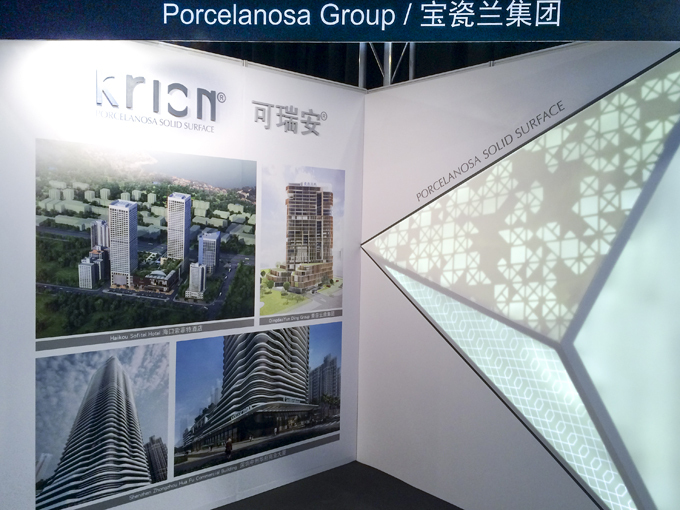 Representing the PORCELANOSA Group, Krion® and Butech have appeared for the second year in a row at the Architect@Work exhibition, held at the Shanghai Expo Center on the 12th and 13th of June, where the latest advances in building solutions and products and materials related with the world of architecture and interior design were presented. 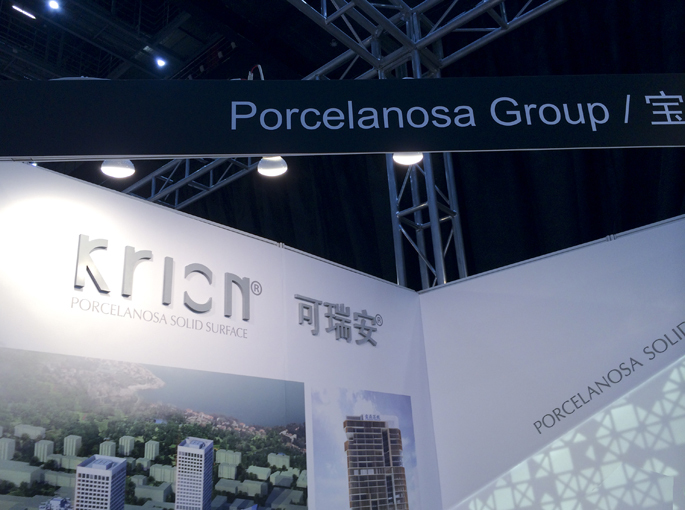 On this occasion, the new Krion® finishes and multiple applications of PORCELANOSA Group’s solid Surface were displayed, with a special emphasis on their extraordinary technical and aesthetic results as a covering for ventilated facades. 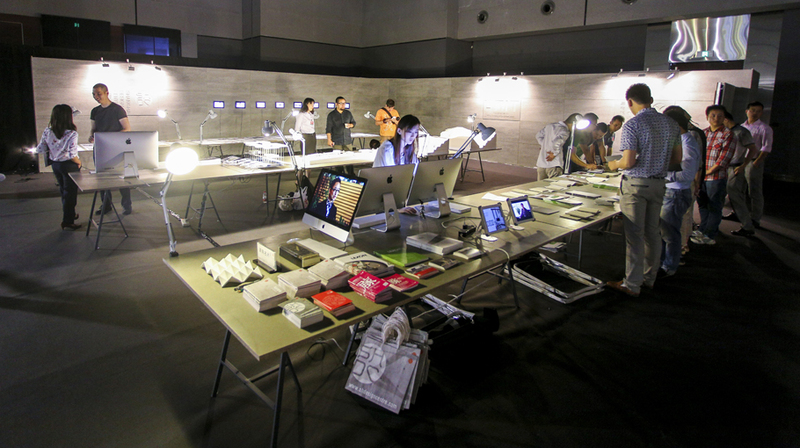 Additionally, the latest projects carried out worldwide with the compact material, suitable for numerous applications in all types of buildings, were exhibited. 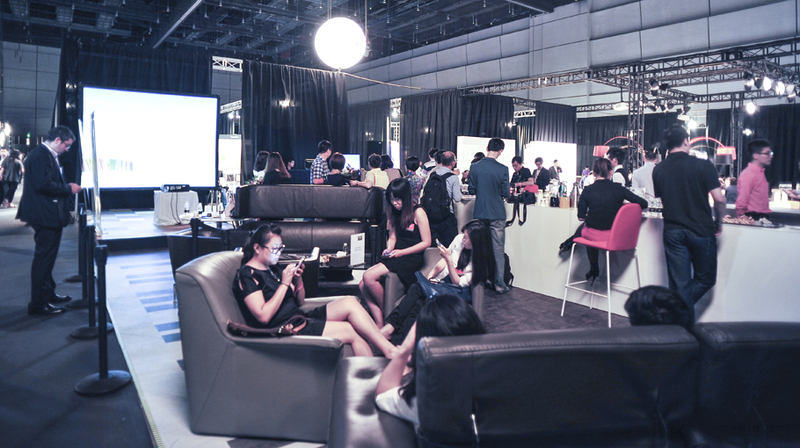 Over 3800 visitors attended the latest addition of this benchmark exhibition for the Asian professional sector, in which architects and designers came together, as well as hundreds of exhibitors of great importance in the construction field. 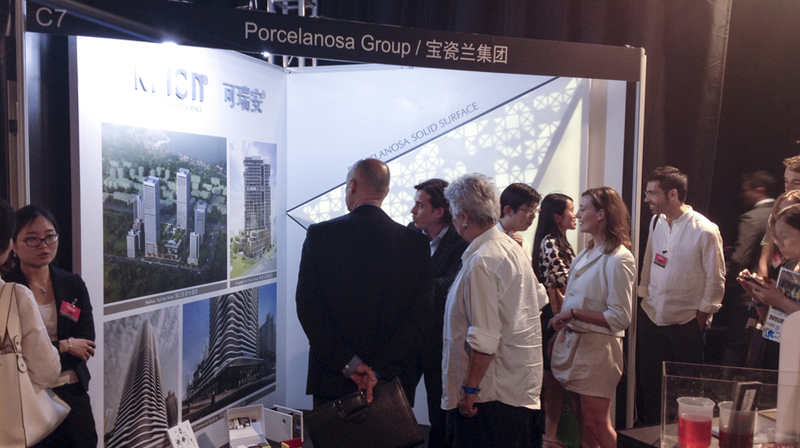 With their presence at this great exhibition, PORCELANOSA Group intends to secure its position in the Asian market by displaying its most advanced building materials and solutions. 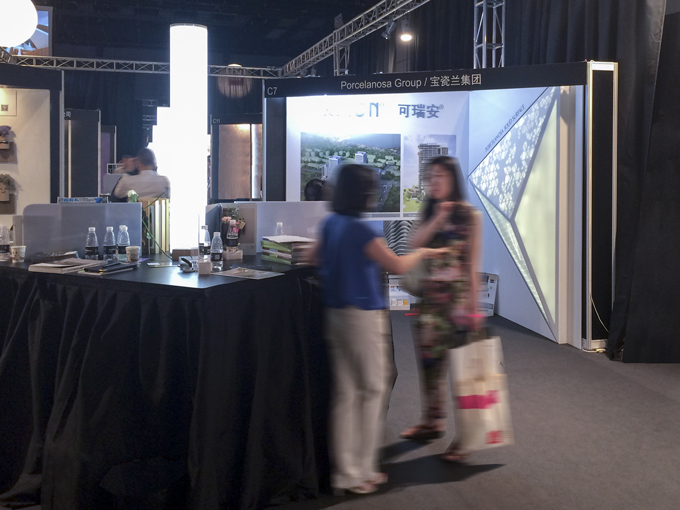 This is a process which is already bearing fruit, with projects in the design and implementation phase such as Haikou Sofitel Hotel, Qingdao Yun Din Group and Shenzhen Zhongzhou Hua Fu Commercial Building.